A shorthanded Silverback squad found another way to win. Missing eight players in the last three wins, Salmon Arm was missing ONLY seven regulars on Friday against the Trail Smoke Eaters in a 3-2 win at Cominco Arena. In the second period, the scoring would final open up as Ethan Schaffer stole a Trail pass in the neutral zone, and brought it back into Smoke Eater territory. His pass went across the ice and onto the stick of Nikolas Sombrowski who scored his first BCHL goal in his fifth game. It was the first BCHL point for Schaeffer. On their second power play of the game, the Smoke Eaters would get a double tip on a point shot from Diarmad DiMurro shot with Spencer McLean getting the final touch to tie the game at one. With four minutes to go, Trevor Adams worked the puck out from the left corner for Salmon Arm, and was able to beat Adam Marcoux for his 17th of the season. Pigeon picked up an assist giving him a point in his BCHL debut. John Little nearly doubled the lead for Salmon Arm, but a loose puck in front of the crease prime for a tap in was just out of his reach. An early goal in the third period stood as the game winner for the Silverbacks. Just 21 seconds in, Aiden Jenner found Matthew Verboon backdoor to give Salmon Arm a 3-1 lead. Picking up an assist on the play, John Little now has the second longest point streak this season in the BCHL with 14 straight games with a point. The goal gave Verboon points in 12 straight games since returning from the World Juniors. Trail would answer four minutes later as Kent Johnson found Hayden Rowan backdoor to get the Smoke Eaters within one goal. A three on two for Trail ended in another Ethan Langenegger save as he was able to shut down the top line. Salmon Arm would head to a power play a few minutes after the midway mark of the period, but Trail got the best chance on a two on one. Spencer McLean fed O’Hearn, who was turned away for the second time of a night on a good scoring opportunity for the defenseman. Off a turnover with five minutes to go, Chase Stevenson nearly dug a puck past Langenegger, but the rookie was able to plant his left leg and hold it out. Pulling the goalie with 1:20 left in the game, Trail was unable to find the equalizer giving Salmon Arm the two points. With all the teams above (Wenatchee) and below (Vernon) all winning, Salmon Arm didn’t gain or lose any ground with the two points. The Silverbacks still hold the number four slot in the league which is good for home ice advantage in the first round of playoffs. 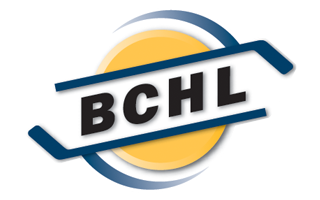 In his BCHL debut, Brendan Pigeon had one assist, and could have had a lot more. Playing on a line with Trevor Adams and Nick Unruh, the natural chemistry made it look as if the trio had been playing together all season long. 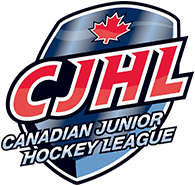 The Cariboo Cougar callup had an impressive debut, and will look for goal number one Saturday night.